Tea cup shape night light-41/2″. 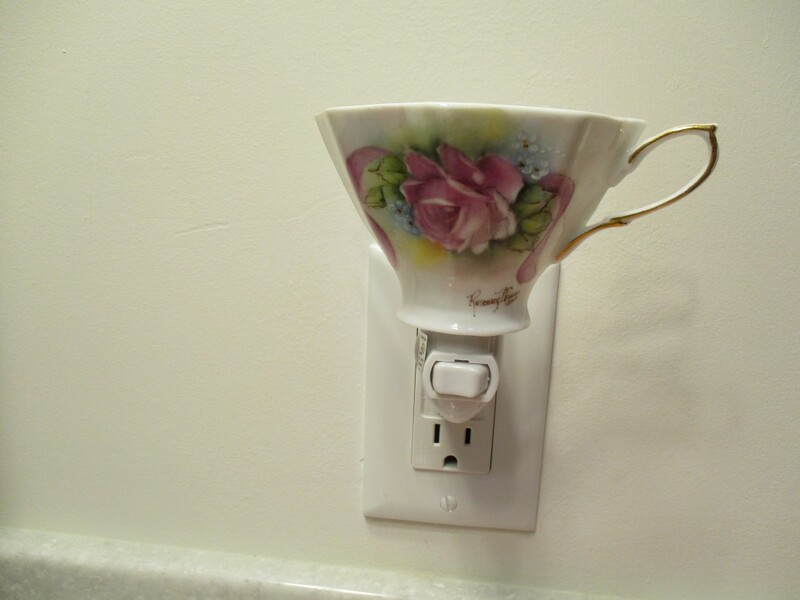 You will enjoy this very delightful night light designed for all tea lovers and lovers of beautiful items. 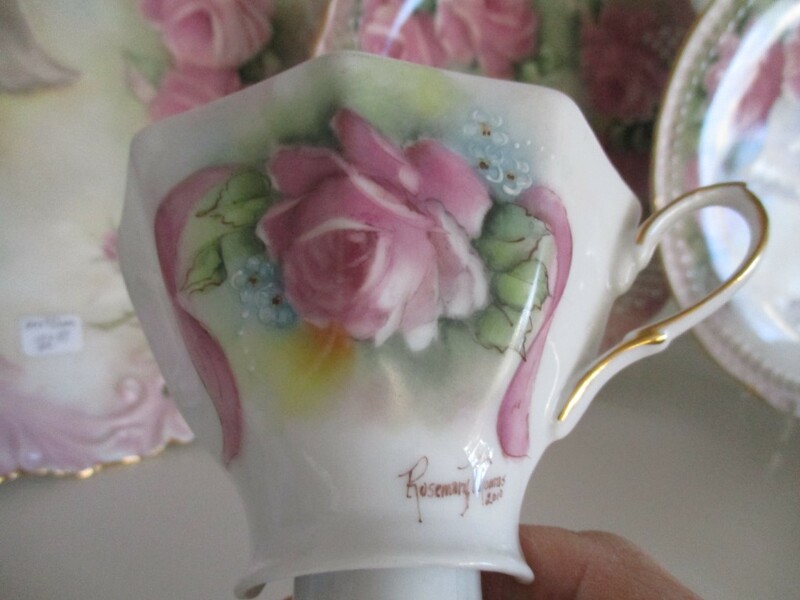 Light shines beautifully through this thin china. 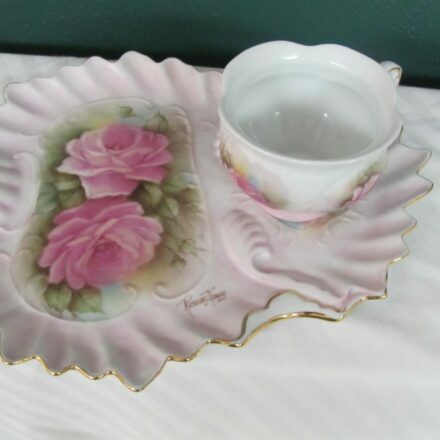 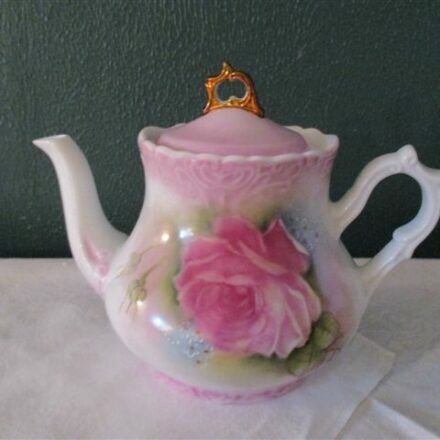 Painted with tea rose in pink/rose tones and accented with dainty blue-forget-me-knots and a flowing ribbon. 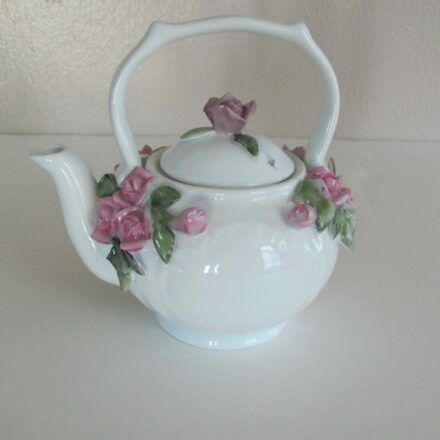 Teapot with Embossed Roses – 11 oz. 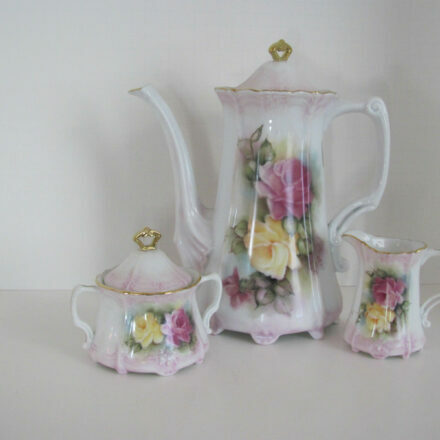 Baronese Coffee Set – 3 pc.